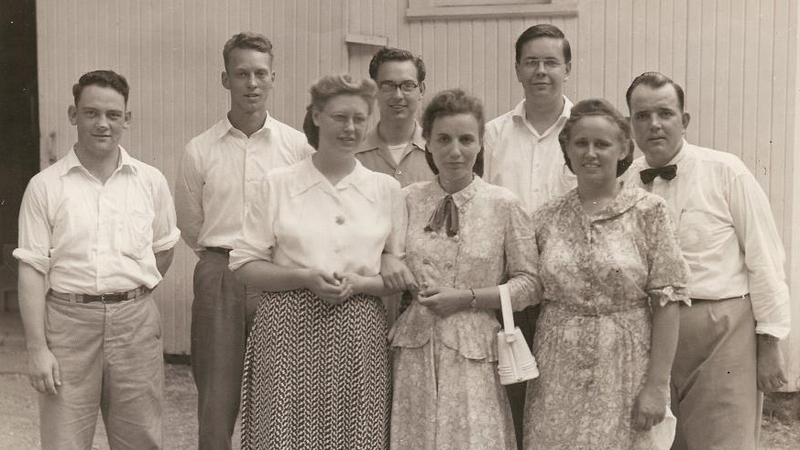 For over 120 years, Fairmount Camp has impacted Hoosiers by offering a respite from daily life, fellowship with believers, and spiritual formation for those longing to draw close to God. Large shade trees, quaint cabins, comfortable campsites, simple dormitories, and multi-use buildings dot the 20 acre retreat nestled in the northwest corner of Fairmount, Indiana. Whether strolling the quiet lanes, sitting around a cozy camp fire, or watching the sun set across acres of beautiful farmland, today’s guests feel a link to the people who founded this camp long ago. The centerpiece of this idyllic setting is the historic Bethel Tabernacle. This structure, with a seating capacity of approximately 1500, has housed worshipers for over one hundred years. 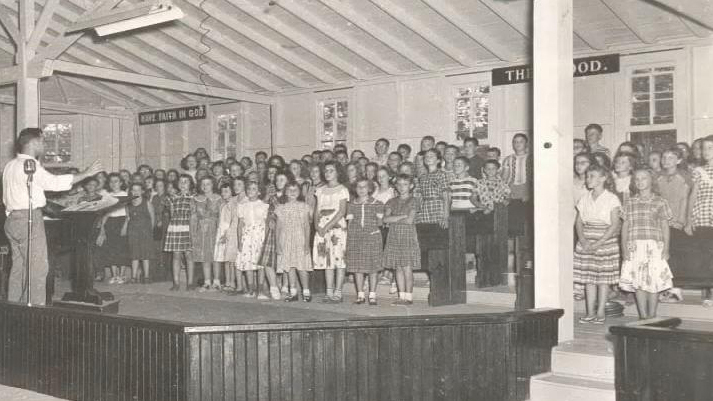 In 1999, Bethel Tabernacle was featured in the Gaither Gospel Series’ Grammy nominated Down by the Tabernacle video. As it has since its inception, Fairmount Camp offers Christ-focused camping experiences to people of all ages. 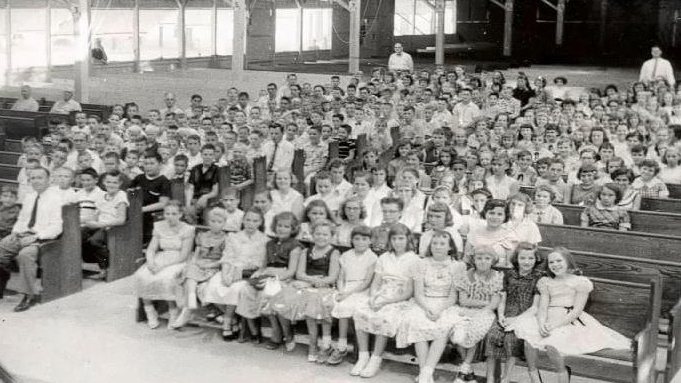 Hundreds of children come to the yearly Junior Bible Camp. Over the years thousands of children have been impacted by the Holy Spirit during this time set aside for fun, fellowship, and faith. Similarly, Junior High and Senior High Camps offer activities and content geared to meet the needs of teens and their growing relationship with their Savior. These times set aside for spiritual formation encourage and empower teens to live their faith out in their homes and schools. Family Camp at Fairmount draws people from all over Indiana and neighboring states to unite for worship and fellowship. Family Camp offers age appropriate classes and activities for everyone. Over a thousand participants in 2011 benefited from this time of collective worship and growth, cementing families in their faith and fostering many unique bonding experiences. In a time when marriages are under siege, the annual Wesleyan Married Couple’s Retreat provides invaluable time for worship, council, and instruction. Over three hundred people fellowshipped during the 2011 retreat. While many Christian camps struggle to maintain programming, Fairmount Camp continues to thrive. Ground improvements such as new restrooms with laundry facilities, an air-conditioned cafeteria, remodeled guest apartments, new signage, a pavilion with a beautiful stone fireplace, and a striking new prayer tower stand as testament to the commitment level of Fairmount Camp’s participants and leaders. With a heart for impacting as many people for Christ as possible, Fairmount Camp is seeking to become a year round facility. Adding a multi-purpose building with lodging and a gymnasium would offer opportunities to sports ministries, youth groups, and churches.